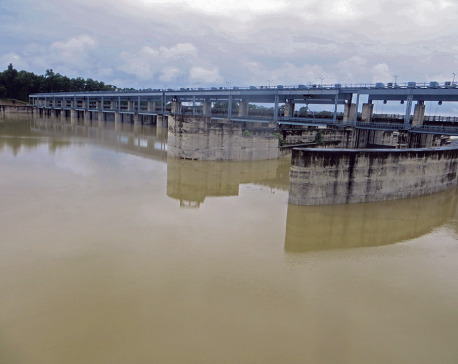 NEPALGUNJ, Aug 28: Right after completion of the headwork of Sikta Irrigation Project in Agaiya of Banke, the locals had protested against the narrow outlet for water. They had expressed their fear that the narrow outlet would greatly risk their settlement. 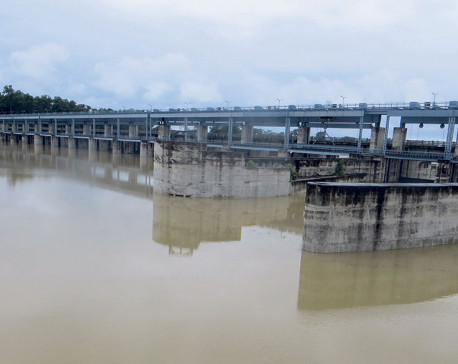 They had warned that the main canal which stretches from the east to the west would block the natural flow of water coming from the Chure range, risking inundation among the human settlements if the outlets would not let enough water pass through. But the concerns of the locals did fell into deaf ears. 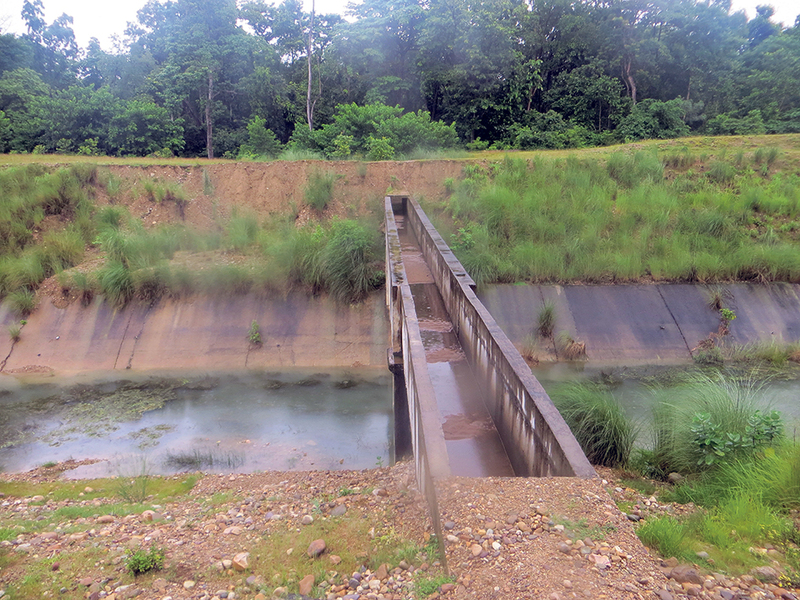 Instead, the project officials opted to block the water coming from the Chure region. The wrong design of the project showed its effect over time. Last monsoon, the canal ‘sustained enough damage’. This year, it turned even fragile breaking at several parts. “A major flaw in the canal design is the lack of big holes to let water out. 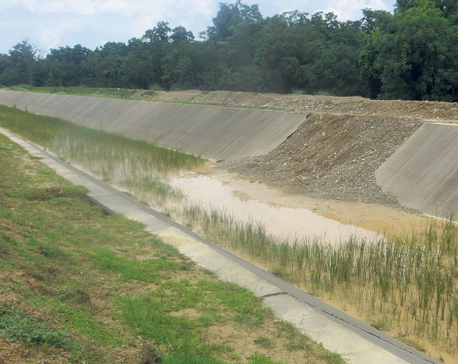 When enough water is not released in a calculated way, the canal naturally crumbles as the water gushes out,” noted an engineer of the project, requesting anonymity. “Locals had alerted us right then, but the director did not pay heed to their concerns,” he added. According to the engineer, there should have been enough number of ‘super passages’ for the outflow of water. There are very few such passages and they are too narrow. “No wonder, this way the canal cannot give any safety to the human settlements nor can it last long,” he stated. It is not that the DPR was not prepared prior to starting the project. However, the DPR was not taken into consideration while designing and later constructing the canal, the engineer believes. “There must have been studies and survey. Either they did it only on paper, or later they did not follow any suggestion of the survey or the DPR,” he said. According to former minister Prem Bahadur Bhandari, who is also a local of Kachanapur, great negligence in the entire process right from the beginning has led to the sorry state of the canal. “We had warned them right in the beginning. It was quite apparent that they were erecting weak as well as very wrongly designed canal. Water coming from the northern side simply had no outlet,” he said. “But we could not draw their attention at all,” he added. Bhandari demanded serious investigation on the Sikta scam. Everyone who has shown negligence in the national pride project must be held responsible, he said. Kalika construction is responsible for the project. Will Kalika and its Chinese partner, consulting firm be chargesheated?